Avatar’s Update #245: New Scene & Item Content and SeedInvest Perk Screenshots! Free Trial Test #6 (Sep 7-27) Now Live! SPOILERS: For Release 46 we are reworking Blackblade Pass to establish a path through the mountains and underneath the lava that is Tier 2. This involves adding Tier 2 side paths in Southeast Blackblade Mountains and Northwest Blackblade Mountains that connect to the entrances to Blackblade Pass, as well as adding a Tier 2 bypass tunnel in Blackblade Pass itself. 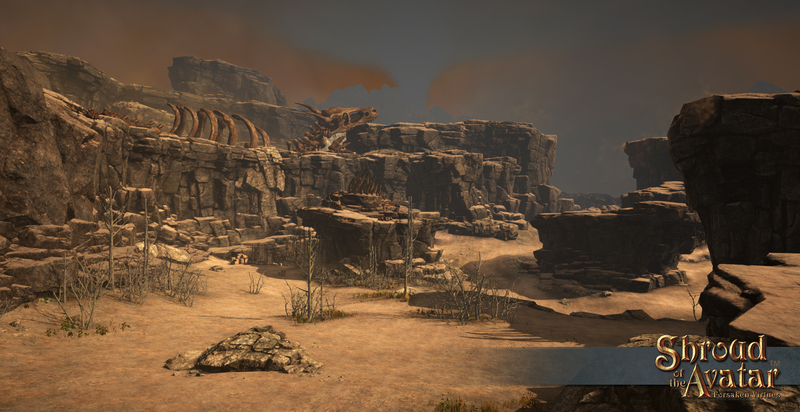 Additionally, we have completely rebuilt Northwest Blackblade Mountains (it was previously a clone of another scene) and it now contains a devastated arid landscape of dragon bones, mesas, sand, and possible dragon encounters! 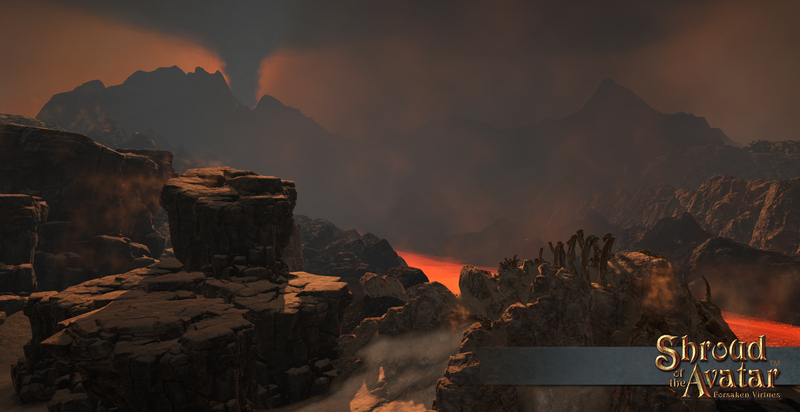 Here’s some early teaser shots of progress on un-cloning the Northwest Blackblade Mountains. Let me know what you think of them! Thanks for following our progress! More Soon! We created several new threads this week to show off content that we have been creating for SeedInvest Perk Packs, Telethons, and for Halloween. We will be making and posting in these kinds of threads going forward so that our players can stay up to date on the latest images of these items as we make them. In the case of the Telethon and holiday content they will first go in Dev+ and then later be included here in the Weekly Update. 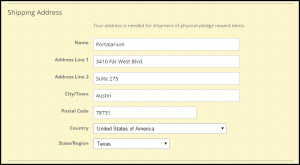 This thread is to show images of the SeedInvest Perk Pack Rewards as we create them. We have created (and have images for) the first set of items that we listed when the SeedInvest campaign started. We hope to deliver these as soon as Release 46. 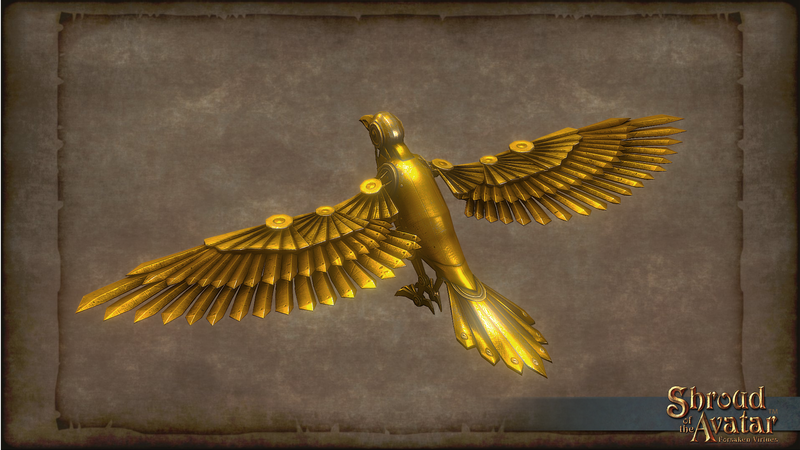 We are working on the second set of items that we added after the SeedInvest campaign was already in progress. We hope to start delivering some of those as soon as Release 47. 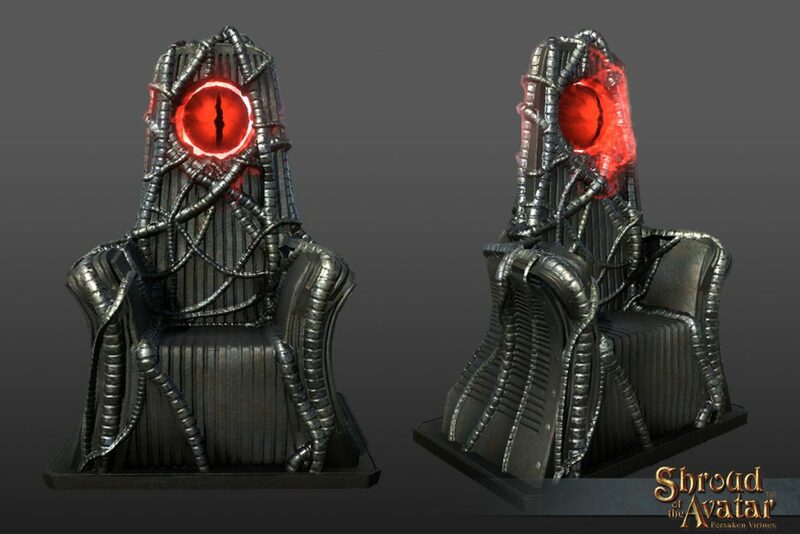 NOTE: These items are exclusive to those who participated in our crowd equity campaign at SeedInvest and invested in Portalarium. They are not available anywhere else. 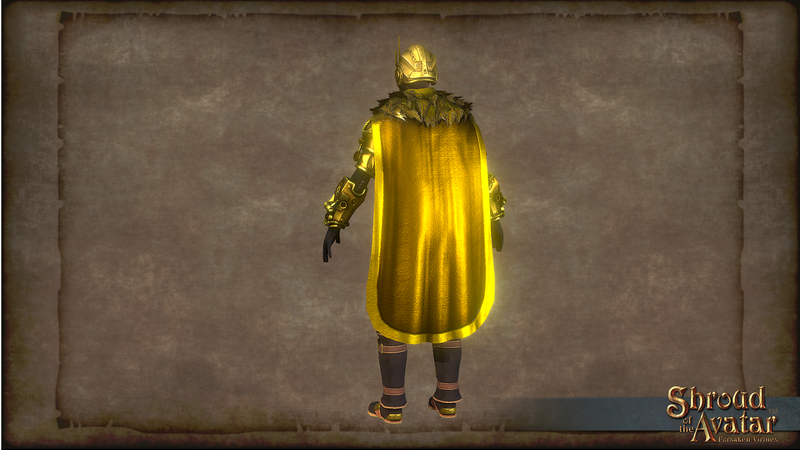 We are starting some new threads to show off telethon rewards as we make them (we will be doing similar threads for holiday content and SeedInvest golden items). 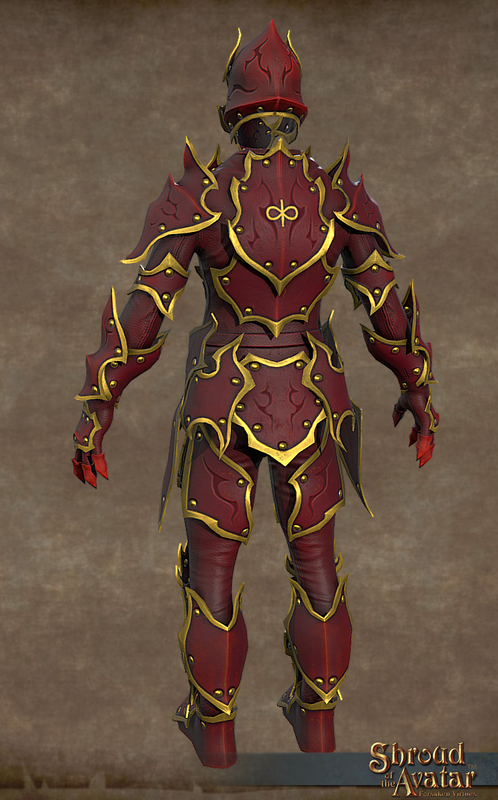 For the summer telethon we have already delivered everything except the Flame Armor so this thread will just include the Flame Armor but other threads will of course have more content. Most of the Lord British telethon rewards have already been delivered (Moondial, throne, magic trick emotes, silver fireworks, etc.) 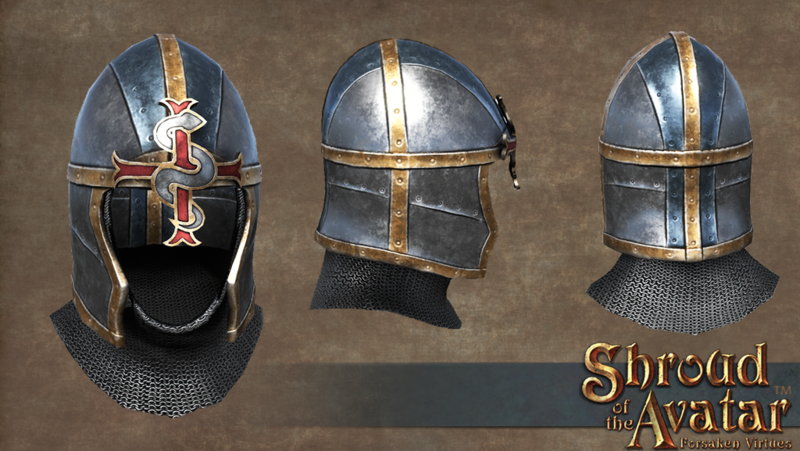 but there is still one left (the pet broom) that we hope to deliver in R46 and there is some polish we are still doing on the Lord British helmet. One of the themes for Halloween this year is prison and we are creating a prison home, pillories, and prison cages. This is in addition to our normal assortment of Halloween items including Jack O Lanterns and Jack O Lantern Mask. This year’s Grim Reaper statue is going to be a truly amazing piece and we cannot wait to show it to you. We are starting the thread off with a peak at the Prison home which is Row sized and three stories. 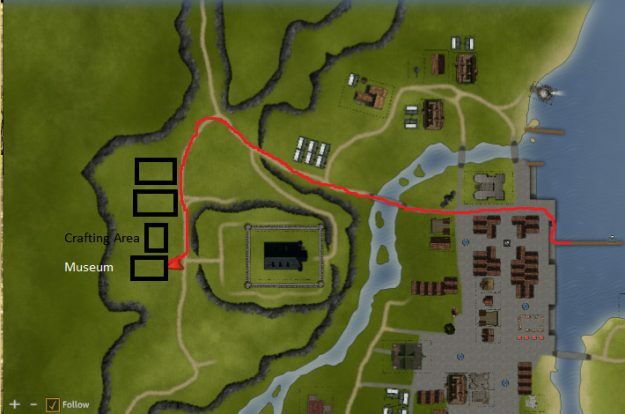 Michael “Hutch” Hutchison also posted information about how he built the prison and what buildings inspired him that you can read here. 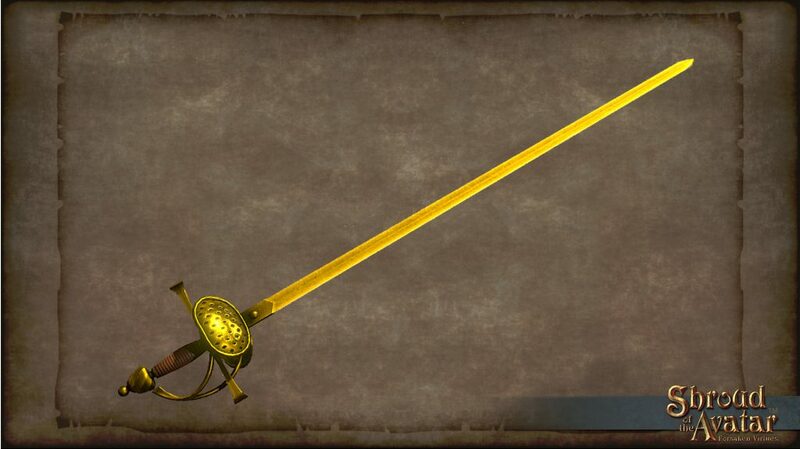 This year for Halloween we are introducing a new polearm: the scythe. There will be two versions initially. 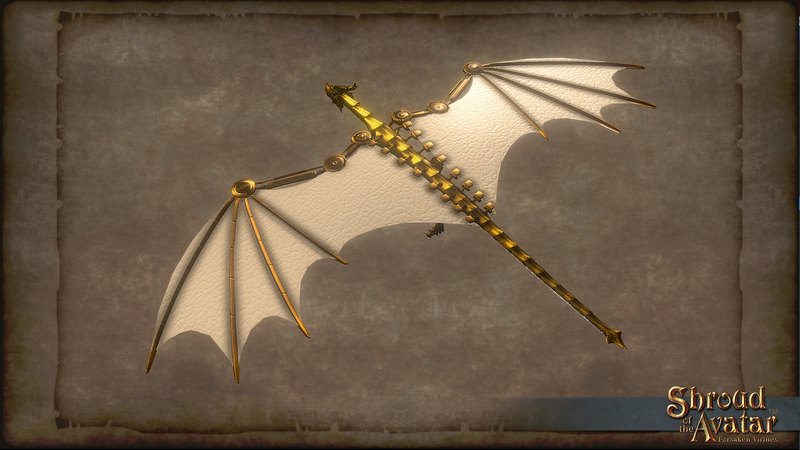 The one pictured below is the rare 2017 Ornate Scythe that will only be available in the Add On Store during the Halloween season. 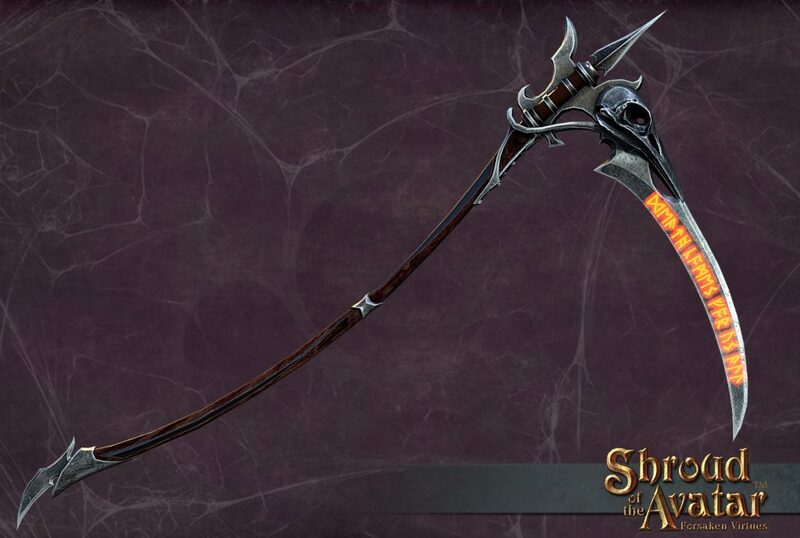 There will be a craftable scythe in game as well. Both should be available in R46. We had 20+ pages of questions left unanswered after the R45 Postmortem! 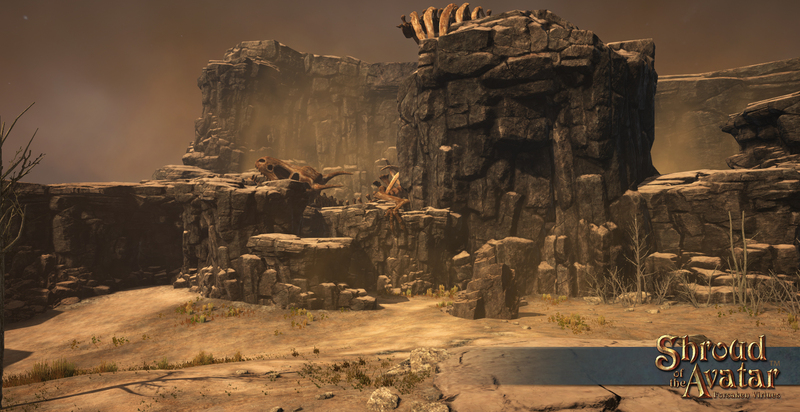 With assistance from the team we were able to get to those questions and we posted them to the forums Wednesday. Here are the questions that we did not have time to get to during the R45 Postmortem. I tried my best to answer these (with help from the rest of the team) but some we just don’t have details yet to provide. I probably won’t have time to do any follow ups to these. The community did a great job assisting us this telethon to make sure we didn’t miss a single question. Please note I deleted a bunch of duplicated questions and also deleted any questions that we answered with the Q3 post or with the release of R45. I also deleted questions that were super open ended, were super vague or were needlessly confrontational. Roxanne: Will we ever be able to craft blank paper? Randbo: Will you fix the true bronze crafting tools. without them i get 29% exceptional chance with blessing and table. with them it drops to 27%. used to be the other way around. This sounds like a bug that should be submitted to bug forums. 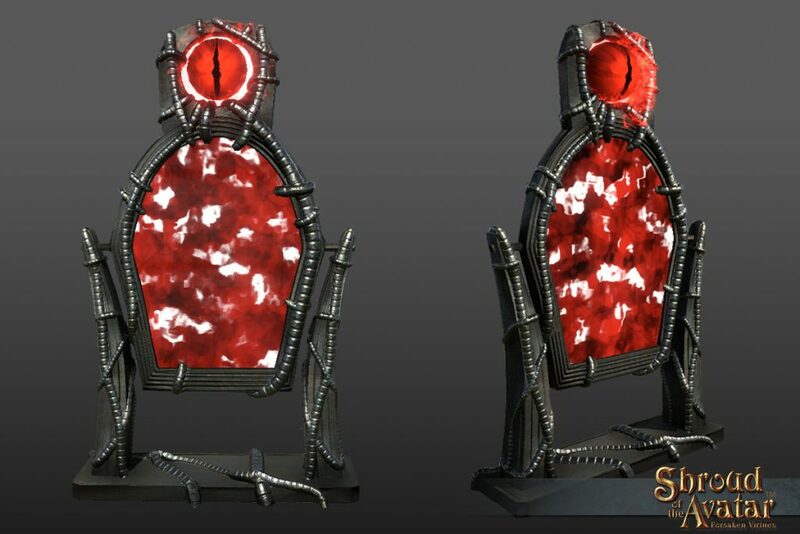 Viper_Poison: Can we get prosperity tools for ingot molds and other molds or recipe to craft our own which have more durability? Viper_Poison: Can you make the default for ingot molds and other molds to use the mold with the least amount of durability first? Often I have half used molds all over in my inventory and it doesn’t make sense someone would actually do that. Amarious – When I press F the Social window comes up. In that window are player names and locations that they are in. We can sort players by alphabetical order by clicking on the large white Player Name text. I was wondering if we could get large white text next to it that says Locations and when clicked on it it would put locations into alphabetical order just like when clicking on the Player Name text. We are going to continually polish the questlines with additional side quests, dialogue polish, etc. For instance in R46 we are doing an overhaul of Malice to make it more accessible (removing creature respawn and having an NPC actively help you through the dungeon) while revisiting the dialog to make it clearer and easier to follow. Tiina Onir: Can we go back to the quarterly telethons (even if that means multiple releases per telethon)? I feel like doing them at this rate is just contrived and we don’t get to see the items from one before the next. I’ve heard at least a little grumbling in the community about it as well. I am very sorry that you feel this is contrived and that the delivery schedule is causing you frustration. Regarding the feedback on pacing if you look at historical delivery data we are actually delivering at the exact same pace that we delivered for the quarterly telethons, if not actually faster than those. Regarding “grumbling” we have actually gotten much more positive feedback on the monthly model than we have gotten negative feedback. Would be interested to know why you feel this is “contrived”. For us as we stated with the R44 Post Mortem we had a very concrete reason to move to a monthly format: shorter length meant more focus and less fatigue. Also worth noting 3 months of 4 hour telethons equals 12 hours every 3 months. The question, “What’s the timeframe to get the investor rewards?” was asked on the recent R44 Postmortem livestream. Several community members have asked similar questions here in the forums since then. Here is a FAQ we’ve put together of recent questions asked about investor perks. 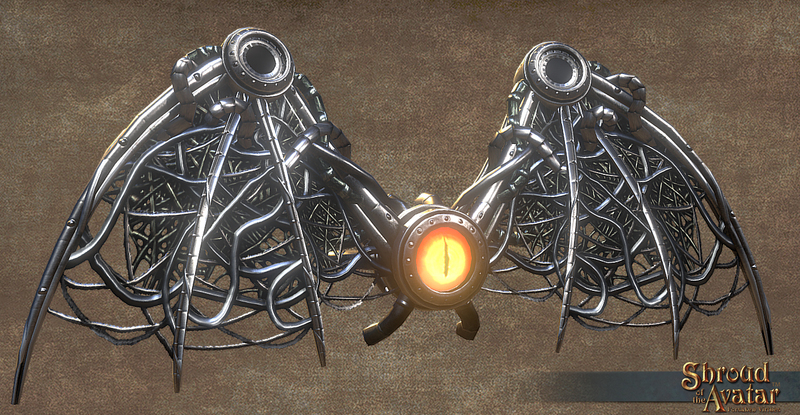 Free Trial Test #6 is now live and will run from September 7-27th. As with our previous tests this will let us continue to gather data about uptake, drop-off, conversions, etc. These tests are invaluable for us in order to improve the New User Experience and the Free Trial System. 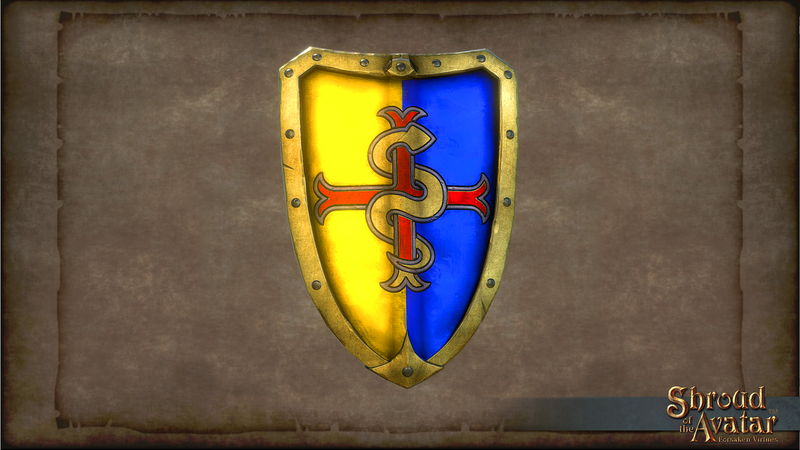 Join us in New Britannia for free! 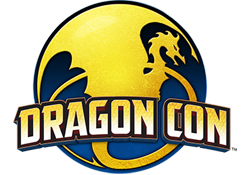 Listen in on the Sci-Fi2K’s Dragon Con podcast episode with Richard Garriott and Starr Long with Kristin Avery @theitparadenow. Also have a read below through the great stories told between Richard and Starr in this in-depth interview while they were at Dragon Con! 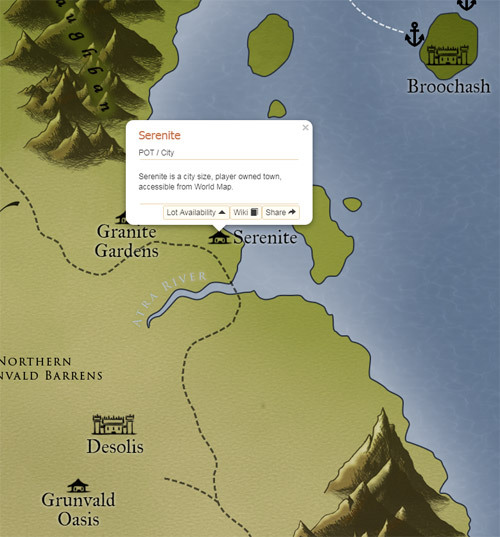 OperationRainfall: How did you – real quickly before we dive into Shroud of the Avatar- how did y’all acquire the nicknames of Lord British and Dark Starr? Richard Garriott: It’s funny – when I was in my sophomore year in high school, I was exposed to computers, Dungeons & Dragons, and Lord of the Rings all at the same time. And I was at a seven-week summer program, and these kids that where there ahead of me – they were the core of the group that I learned to play Dungeons & Dragons from – They were giving everyone nicknames as they arrived. And so when I arrived and threw my bags on the dormroom bed, they came and knocked on the door. They said ‘hi’, I said ‘hello’, and for some reason, they thought the way I said ‘hello’ did not sound ‘Southern’, as they all were – even though I was also growing up in the South. They thought my ‘hello’ sounded British. So that was my nickname immediately – ‘British’. And interestingly, I was born in Cambridge, England. So it has a logic – even though I only lived in England a month, so I did not pick up any accent, but I grew up in Houston, right across from NASA – which was a manufactured international community – so I don’t really have a Southern accent. So my D&D character started as ‘British’, and then as I leveled up, I chose to add the ‘Lord British’ to my higher level “British” character. 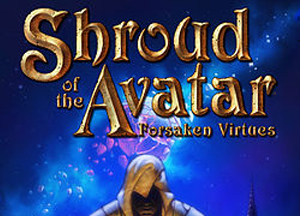 And when I started writing computer games, I actually started to author them – again I was never intending to be published, I was just doing it for my D&D friends- so ‘Lord British’ and my other alter ego, ‘Shamino’, and ‘Richard Garriott’ were interchangeably used as characters in the game or as the author of the game. And my first real publisher asked me this story that you just asked. 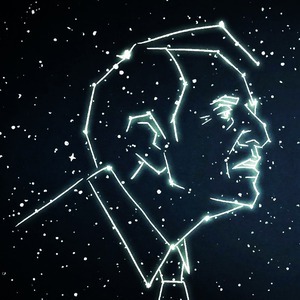 And they were, ‘You know, ‘Richard Garriott’ is a good name, but it’s perfectly generic kind of sounding. But ‘Lord British’? 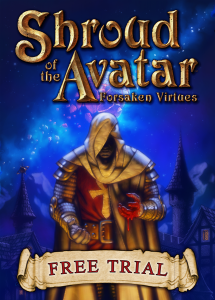 People would remember that.’ So the ‘Richard Garriott’ name came off my first published titles, and ‘Lord British’ became the nom de plume. 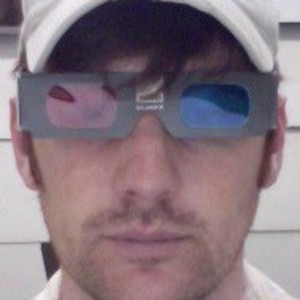 Starr Long: When I was at Origin and started working on Ultima Online, all the main characters are named after real people that are friends of Richard – like ‘Dupre’ or they were alter-egos of Richard like ‘Samino’. So those are real people. When we were working on Ultima Online, I was all “I’m going to be a character in the game.” So versus us making up a character, there was a character in Ultima that was not named after [one of Richard’s friends] that had been a villain in the linear-Ultimas, but in the parallel universe that Ultima Online was going to take place in. 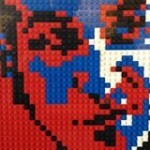 We decided that [this character] was not going to be evil, but was going to be chaotic. Chaos is its own sort of ‘thing’. And so [came] ‘Blackthorn’. Which was fine while I was still employed by Origin, and we were all working for Electronic Arts. But when I left there, unlike ‘Lord British’, which Richard retained ownership when EA acquired Origin, ‘Blackthorn’ remained the property of Electronic Arts. So I couldn’t take that name with me when I left. But I wanted people to know that it was me. And so I needed some equivalent of ‘Black’ – something dark. And then I was like, ‘Well, ‘Starr’ is unique enough.’ So ‘DarkStarr’ is an homage to ‘Blackthorn’, and using my own name. 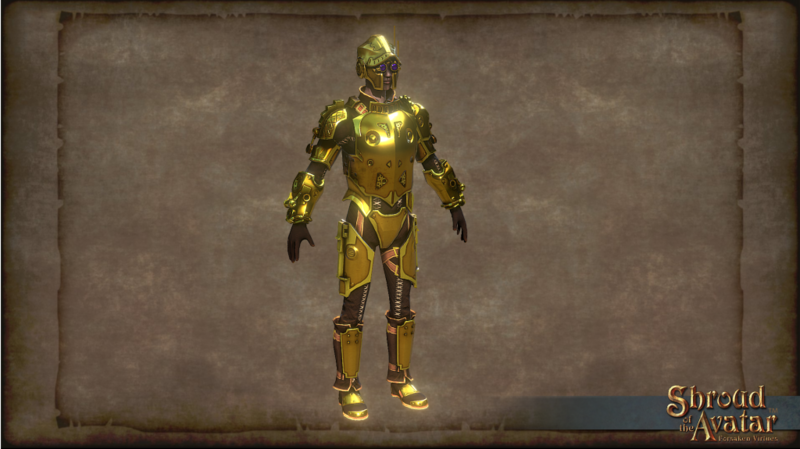 Richard Garriott: And what’s interesting is that I now see them as inseparable. It’s funny that it’s – if you think of ‘Iolo’, for example – the character ‘Iolo’, his real name is David Watson – he wrote Stones, which is the primary piece of music people think of when they think of Ultima Online. 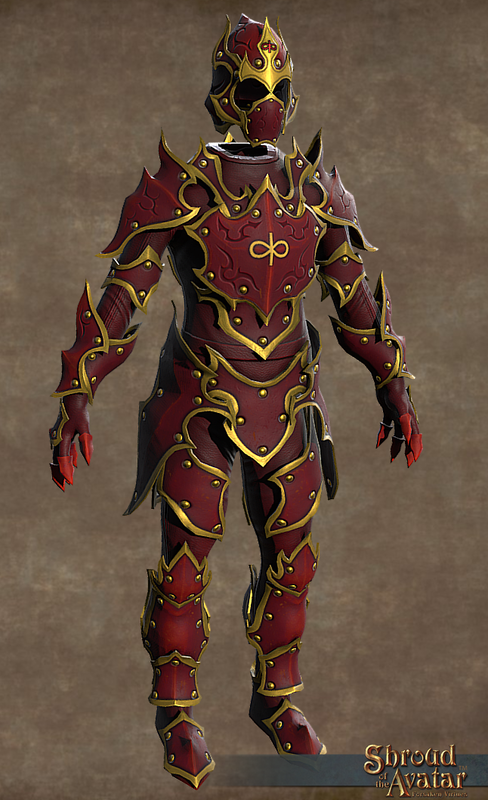 He also wrote a piece for us – Baron of Eastmarch– for Shroud of the Avatar. His real-life job is that he makes crossbows. His job in Ultima and Shroud of the Avatar as a separate character would be making crossbows. The point is that the reality of these people – the characters they play in the games- are the same. And I think that it lends an interesting sense of truth to the words we’ve created. Our Community Manager, Mathew ‘Berek’ Anderson, will also be attending Austin Game Conference next week to moderate the panel, ‘Building a Kickstarter Base Community – From Inception to Fruition‘. Panel is at 11am CT on Sep. 21 in Room 19 A. What does it take to build a Kickstarter community from the ground up and for it to stand for years through the development process to launch? This talk will focus on traversing the frequently bumpy and unpredictable road of building a successful community when you have a tight budget and backers knocking on your door for updates at every turn of development. 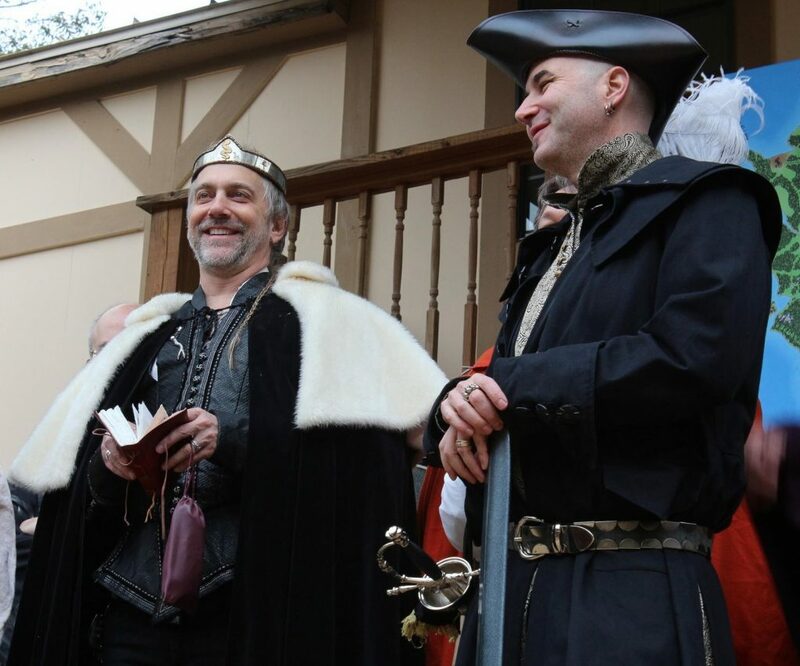 Richard “Lord British” Garriott and Starr “Blackthorn” (aka “Darkstarr”) Long will be attending the Ultima Online 20th Anniversary Party in Herndon, VA (right outside Washington, DC) next week. They will be giving a two hour retrospective / postmortem on the development of Ultima Online, judging the costume contest, as well as attending the other events on Friday and Saturday. The organizers are estimating 250 people will be attending this historic event! They are currently at capacity but you can apply to be put on a waiting list for attendance. *Some items may be rounded to 20% by a few fractions of a percent. In recognition of the Pet Dances and Clocks getting added to the game in Release 45, we are putting all pets, clocks, and moondials on sale this weekend! 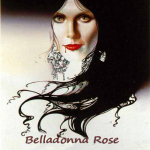 Helen not only inspired the creative role-playing & world building that led directly to its creation, but also drew the first cover of Akalabeth, which many consider Ultima 0. When her sons Robert & Richard formed Origin, she became Origin’s first Art Director. She manually laid out all of the early manuals, having drawn many of the illustrations found within, and also created the map for Ultima III. 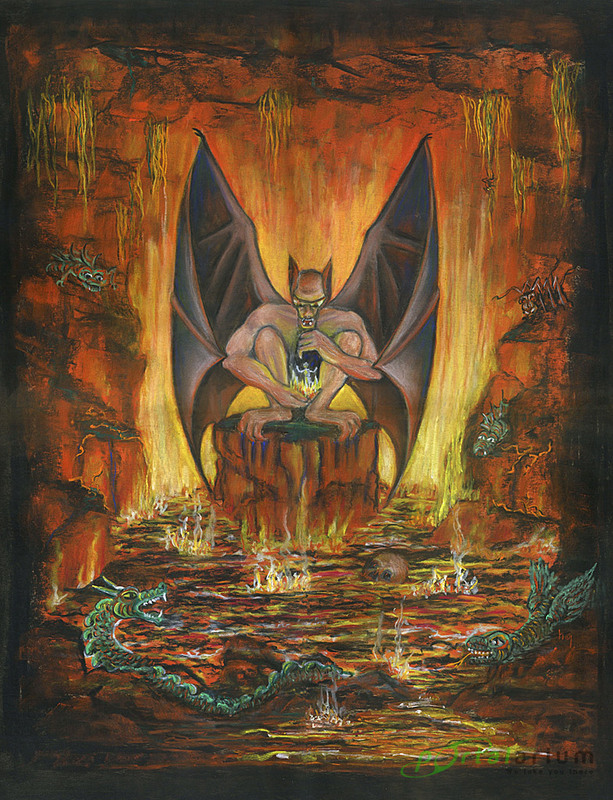 This painting was Helen’s initial proposal for the cover of Ultima III: Exodus. While Denis Loubet executed what would become the final version, this image remains the foundation and inspiration for the cover art of Origin’s first game. 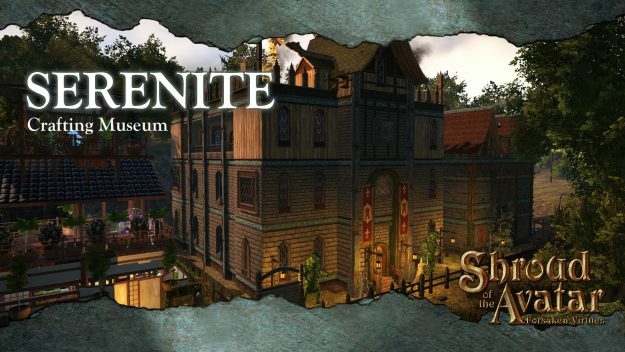 Recently the player town of Serenite opened the doors on its new Serenite Crafting Museum. The town would like to invite one and all to come browse the museum’s historical artifacts today! What is a crafting museum? 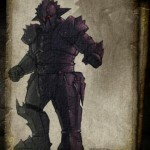 It’s a place where many of the game’s craftable armor and weapons have been collected in one convenient place in an effort to answer all your crafting questions related to the finished product. Ever wonder what the damage difference is between a short bow and a long bow? How about how much protection does Meteoric chain offer over Iron chain? Just how much difference does it make if you go with Augmented or Fortified? 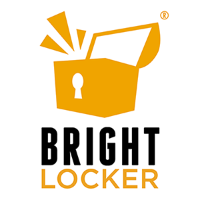 All of these items have been gathered and placed together for your convenience so that you can compare the finished products and make the final decision for the gear you need regardless of if its protection, damage or just what looks the fanciest. During October 2017, the AERIE Fund is supporting the Breast Cancer Research Foundation, a non-profit that seeks to prevent and cure breast cancer by advancing the world’s most promising research in this field. Gamers receive exclusive content, such as unique in game items, physical rewards and more whilst also enjoying revolutionary and unique studio interaction. This interaction comes in all varieties, from forum chats with developers to livestreams of games while they’re being made. In the one picture it shows 2 dragons in the scene. I know devs can play in Gmode so they dont get killed and such. But seriously. Two dragons at one time is extreme. I assume that if this did occur it would have to be the elite players that would have to take this on. 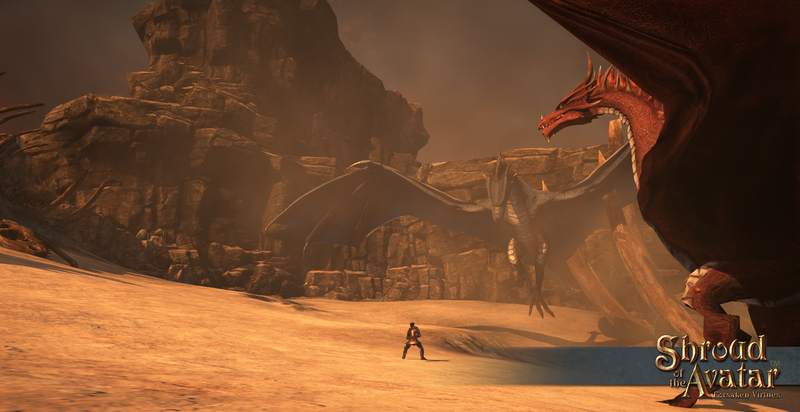 There are times when we go out with a full group and have a hard time fighting just one dragon. No way we could handle two. Is this intended? If so there is gonna be alot of complaints about that I am sure. Frankly I think it might be fun to give it a try.